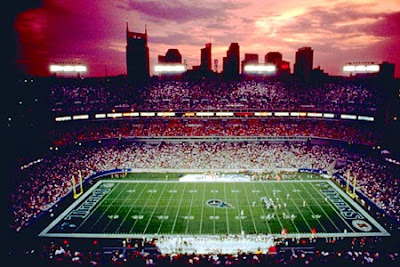 Clemson Girl: Music City Bowl - Go Tigers! We'll miss you Spiller! Music City Bowl - Go Tigers! We'll miss you Spiller! 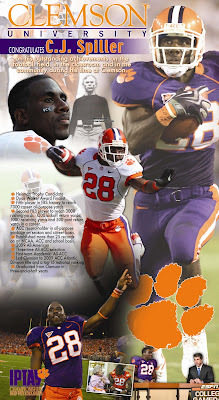 I'm sad that football season is officially over until next fall, but I'm especially sad that this is CJ Spiller's last game in a Clemson uniform....but he'll always be a Clemson Tiger! I think it's so great that Clemson retired his #28 jersey. I'm excited to see what he can do in the NFL...he'll probably convert me to a pro football fan. I hope he has a great game, along with the rest of the team - and I hope they can bring home a bowl win for Clemson fans. Go Tigers!! If you're in Nashville for the game - thanks for being there to support our Tigers and I hope you had a blast! I would love to share your experiences or photos on this blog - please email them to us. To read some great insight about the Music City Bowl and CJ Spiller, please visit a great fellow Clemson fan blog, Clemson Podcasts Blog. And if you haven't seen it already, check out the full page ad that IPTAY took out to thank CJ Spiller in the USA Today at the end of football season.